Want an alternative option for cat litter? 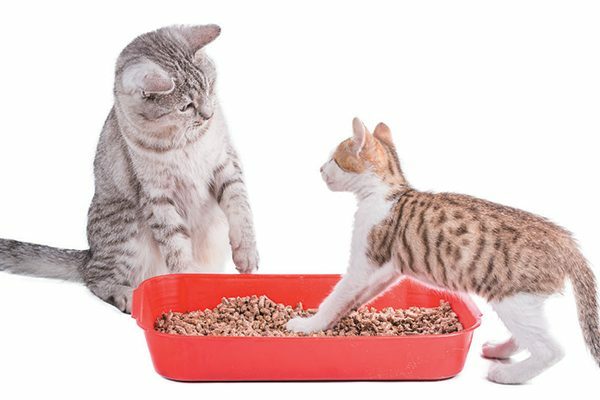 We’ve compiled six materials for natural cat litter that are better for the environment. Cat litter: While many cats and cat caretakers are comfortable with clay litter, some prefer to use litters made from alternative materials. 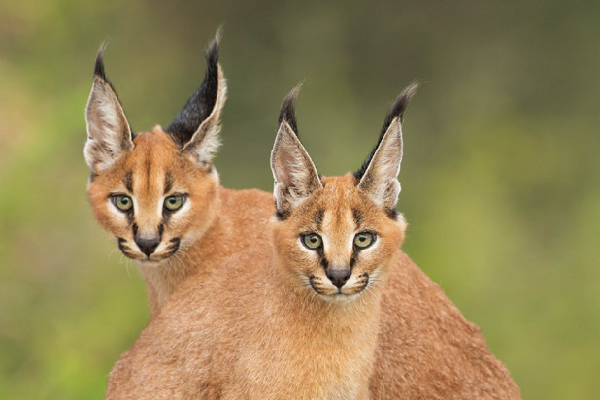 The argument for natural cat litter made from plant material is that it’s friendlier on the environment, it generally weighs less than clay litters, and cats like it. But, how easy is it to clean up natural cat litter? I haven’t used every alternative cat litter on the planet, so I asked some of my fellow cat bloggers about their experiences. Here’s the scoop. 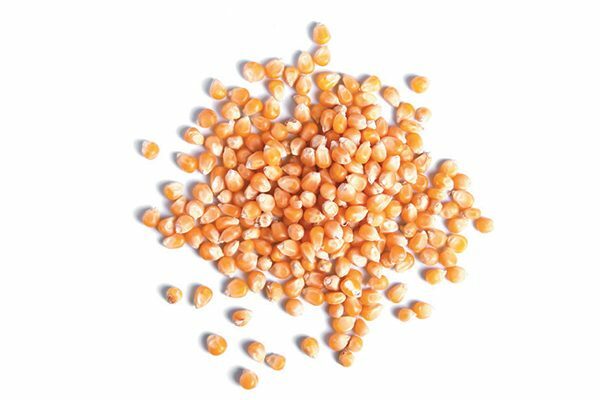 Corn is a great option for natural cat litter because it clumps well. Photography ©springtime78 | Getty Images. Cat litter made of corn, whether you’re using a commercial product or antibiotic-free chicken layer crumbles, has benefits and drawbacks. I’ve been using corn cat litter for years, and I’ve liked it for many reasons. First of all, it’s not perfumed. Secondly, my experience has been that it clumps amazingly well. However, corn cat litter does track a lot, no matter what you do, so do some extra vacuuming around the litter box if you use it. 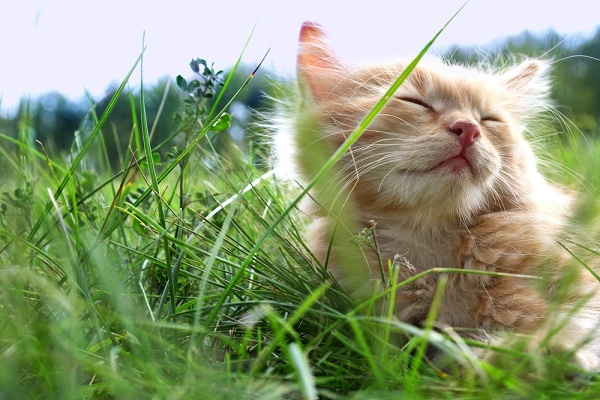 Grass is a lightweight form of natural cat litter. Photography ©undefined undefined | Getty Images. 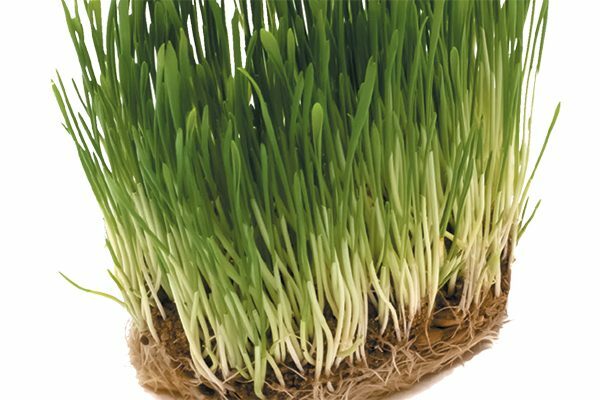 Green tea natural cat litter may need a special scoop for its pellet formula. Photography ©Vitalina | Getty Images. I’ve used green tea litter before, and I found that it worked quite well for odor control and powerful clumping. 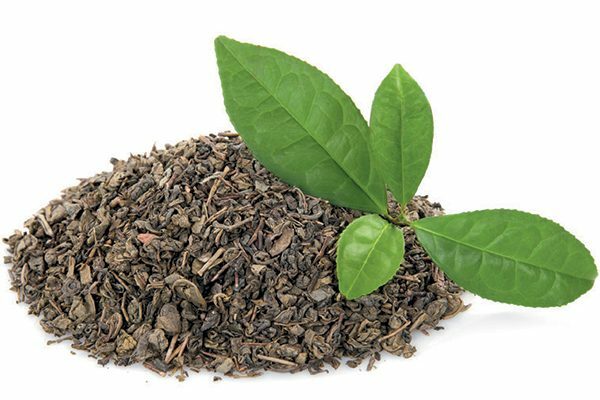 Green tea litter comes in a clumping formula and a pellet formula, and like most clumping litters, the green tea litter does get dusty, and my cats tracked it even with a litter mat. However, some reviews on retail websites have indicated insufficient clumping and the need to buy a special scoop for the pellet formula. 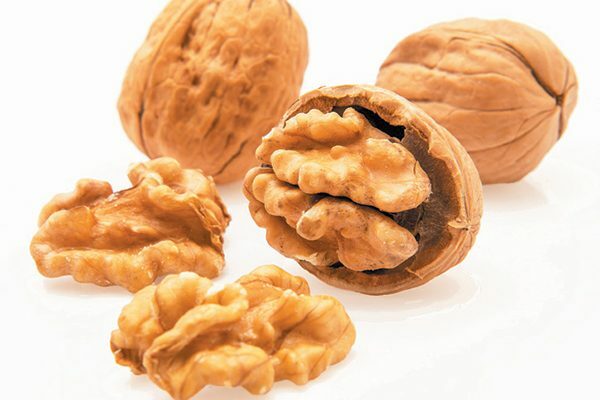 Walnut shells do a great job at controlling odor. Photography ©serdar_yorulmaz | Getty Images. I have used walnut shell-based litter, after I consulted the ASPCA Poison Control Center and made sure walnut shells aren’t toxic to cats. It clumped amazingly well and controlled odor at least as well as corn litter. But the dark-brown dust got everywhere, including on my cats’ paws. I’m not the only one. “I tried the walnut litter, but the kittens didn’t want to use it, and when they did it turned their white feet brown,” Connie says. 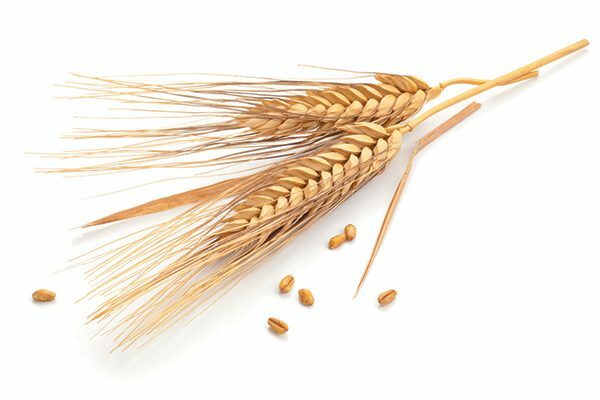 Wheat is a natural cat litter with a nice, natural smell. Photography ©Barcin | Getty Images. Wheat litter is very lightweight and has a nice, natural smell. However, it didn’t work for me in terms of odor control, and it got everywhere. On the other hand, some people and cats really like it. Make sure hardwood pellets don’t contain adhesives. Photography ©Watcha | Getty Images. I’ve tried pine pellets in the past, too. While it smelled nice, it was difficult to scoop out poop because the holes in standard scoops are too small to let the pellets through. Pee made the pellets turn into dust, which then got everywhere. Just because a natural cat litter claims to be flushable doesn’t mean you should in fact flush it. Photography ©Assja | Getty Images. How easy or difficult is it to clean up after all-natural litters? The consensus from people who have used them is that they do tend to be dusty, and because they are lightweight, they can track more than standard clay litters. That said, a cordless vacuum cleaner, a broom and a dust rag are all it takes to clean up after an all-natural litter. Keep in mind that all-natural litter may perform differently in high-humidity areas than in more arid ones. One last thing: Just because a litter claims to be flushable doesn’t mean that it should be. 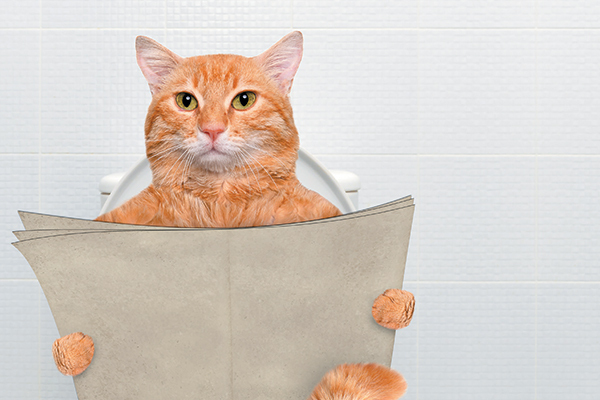 Some states don’t allow flushing of cat litter, and flushing litter — even the all-natural stuff — can cause septic backups or clogs in sewer lines. 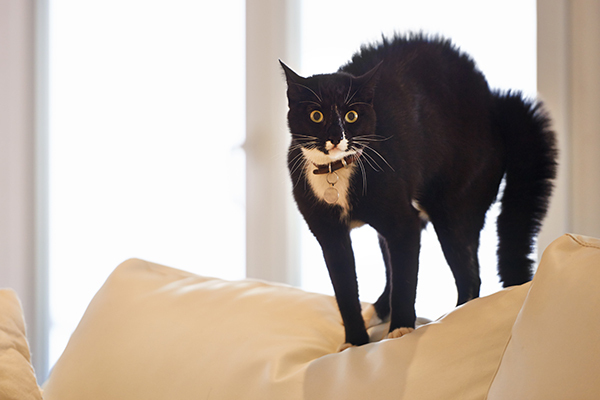 Tell us: Do you use natural cat litter? What type of natural cat litter do you / your cat prefer? I’ll have to give the corn a try. For those who have issues with the dust, what my family and I have always done is cut an entrance in one of those plastic storage tubs and fill the bottom with litter. Simply pull the top off to do some scooping! It really cut down on odor too. I use a commercial kind called Slide. I didn’t realize there were so many different types of natural cat litters. I thought it was helpful how you mentioned that corn can be useful since it isn’t perfumed at all. This would be one of the reasons why I’d want natural cat litter since I don’t want anything that is heavily perfumed. I personally love the alternative litters. I just think clay litter is so heavy and doesn’t work well on odor control. I use Worlds Best which is corn. I used the Walnut for several years because I think it’s the best on odor but the red dust it gets on everything including the cats is not worth it besides not much difference in odor control than the corn. I use the newspaper kind. Lightweight and almost dust free, it’s biodegradable which is great for the environment. Excellent for sensitive paws too! What out for allergies with the corn & wheat. Also, the Feline Pine can cause allergies and worried about the toxicity of the phenols since pinesol is so dangerous for cats. I have frequently used with great results Aromatic Cedar Mulch. I use it exclusively in several boxes out in our storage building where a large number of our colony spend nites in the winter. I have also used it sometimes inside as well. Does well on odor, they all like it (especially since it is the same thing I use around my plants). It is also very biodegradable. When I change the boxes I simply add the box contents to my large wood mulch pile and let the weather clean it up. Goes back into the areas around trees out in the yard. And it is a lot cheaper by the bag as well. It does track a bit inside, but not much more than many others I have tried. Darken the room, then place a flashlight about level with the top of the litter box shining SIDEWAYS above the air over the box. Stir up the litter with your scoop. Stand back and be amazed at the |”dust storm” of micro-dust that rises up for feet, and lingers, floating around for minutes! Even “99% dust-free” brands bring out a blizzard. It worries me what our fur friends must be inhaling over daily visit times. I use a fairly widely distributed brand called Okocat which is made of wood but it’s not in pellets but in small grains so it clumps. 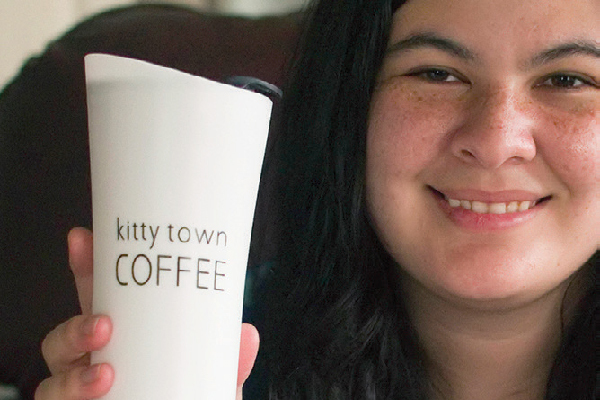 I am very satisfied with the brand & my cat loves it too. This is a reply to Kat’s comment about flushing World’s Best corn litter for 5 years. Kat mentioned that the flushing occurs at apartments. Apartments (at least higher rise) are different than private homes (and perhaps garden type apartments) in that there is much more pressure in apartments than in a private home. I reside in a rural area. My sewer system is central but the type is grinder pump. I’ve been in my home for more than 20 years. I have never had a problem because I am careful even about placing too much toilet tissue in the toilet at one time. Kitty litter would be asking for a problem and an expensive plumbing bill. My two Ragdolls (both born in 2012) had been using Swheat Scoop (wheat) litter since birth until about 6 or 7 months ago. When I first introduced corn litter, Khari, my female cat initially ate a little bit from the litter tray, though that was the only time. I have discovered that corn litter clumps better and lasts longer than wheat. Also, if the litter tray is in a damp area, that does not really affect the litter. I would never flush any type of cat litter. I have used several alternative litters (worlds’ best, swheat scoop, feline pine, etc), they worked well, but I find that the cats prefer by a very wide margin litters that feel like sand. I use World’s Best in the automatic litter boxes and they will use these boxes when the others are dirty. I use sWheat Scoop (100% wheat litter). It clumps well and isn’t as dusty as clay litters. Best of all it’s fragrance-free (I hate scented litters). It does track like clay litter, but that seems to be a problem with all litters. It claims to be flushable, but I’ve read that you should never flush cat or dog feces since most water treatment facilities can’t handle animal waste. Oh wow! Thanks for mentioning the moths. Yet another reason not to buy this type of litter. I’m dealing with a moth infestation RIGHT NOW in my garage and house because of eggs and larvae in wild bird seed I bought. I would never have thought about it being in these litters. Seriously, THANK YOU! Frankly, I’ve never heard of the litters mentioned in this issue. I use a commercial kind called Slide. Have you commented on this? Oh wow! Thanks for mentioning that. I’m dealing with a moth infestation RIGHT NOW in my garage and house because of eggs and larvae in wild bird seed I bought. I would never have thought about it being in these litters. Seriously, THANK YOU! Residing in a very old studio, built when air conditioning not yet invented, I find Worlds Best is made from corn. l think the corn cob. The packages at the stores can be in different weights. Loosely, and to make it easier to remember, I have it priced, if I’m going to.purchase less than $1 lb. But in my apt complex, people get free food, and a lot of oatmeal packages are left on the donation tables. Not sure how old the packages are, or if they come from any bedbug/roach units, yet not wanting the packages go to waste, or if any bugs inside the bag to hatch, I put in ziplox and freeze. Add it to my cat’s litter in small batches. At first she was confused, as oatmeal is a plant cats eat for vitamins and digestion aids. There is no odor. Clumping on the wets, not as great but not too complainable when mixed with the brand name. I also scoop during the day. I also use ziplox to contain the waste and for odor control. I am always on the lookout for cheaper, more organic cat litter. Lately, have also been trying to get to the ranch&feed stores and try the chicken ‘granule grade’ mash. But this article well researched and the best I’ve read on other alternatives. Hopefully, like the oatmeal, not sprayed heavily with unhealthy chemicals. Thanks for the trackback! 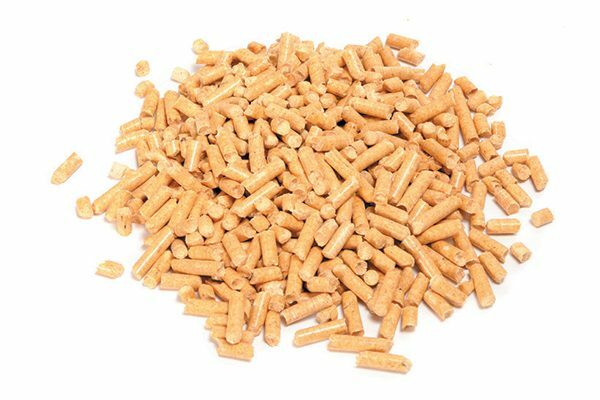 The pine pellets are intended to break down into sawdust, where the hardwood woodstove pellets are compressed so they are handled without falling to dust–that would be a fire hazard. They are both made from sawdust and chips from fresh wood, but the hardwoods are denser and stronger, and when compressed into a pellet tend to hold together because of their natural structure. Also, for the same reason kitchens have hardwood cutting boards and utensils, hardwood can absorb moisture then dry so bacteria doesn’t have the chance to reproduce, and also absorbs and dispels odors–if it can absorb garlic and onion smells surely it can handle urine too. Have been using coconut coir and both my cat and I like it. Love the natural odor control. I use World’s Best Cat Litter (corn based) and love it. I’ve been flushing it at apartments I’ve been living at for the past 5 years and haven’t had an issue. It tracks a fair amount but imo the convenience of flushability is worth the tradeoff. I use the ground corn cob litter and like it alot. Lightweight, clumps well and not alot of odor. Only problem is that my cats do track it alot around and out of the box.